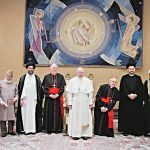 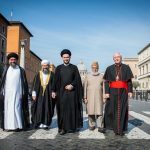 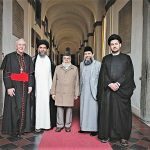 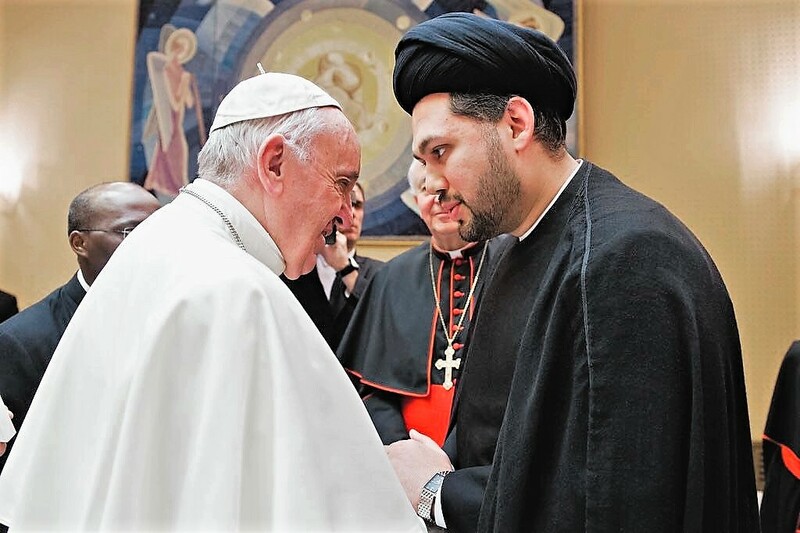 Sayed Ali Abbas Razawi, Director-General of the Scottish Ahlul Bayt Society, and three other Senior Muslim Leaders meet with His Holiness, Pope Francis, in Vatican City. 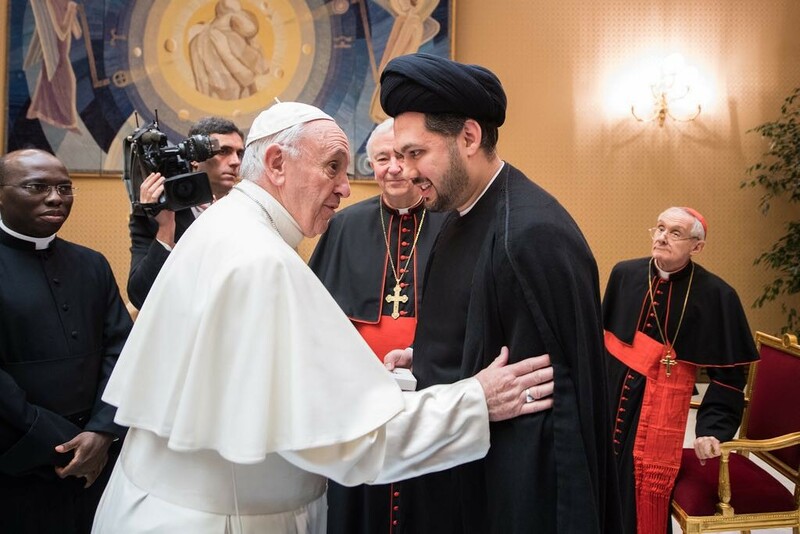 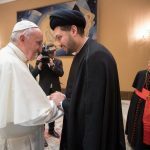 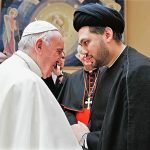 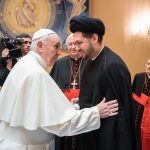 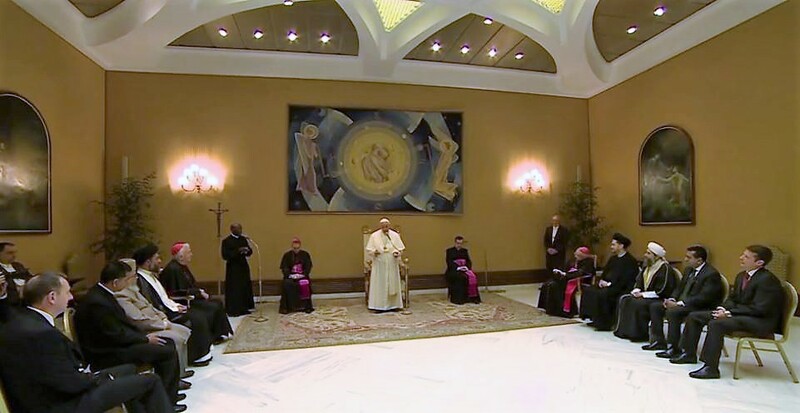 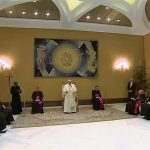 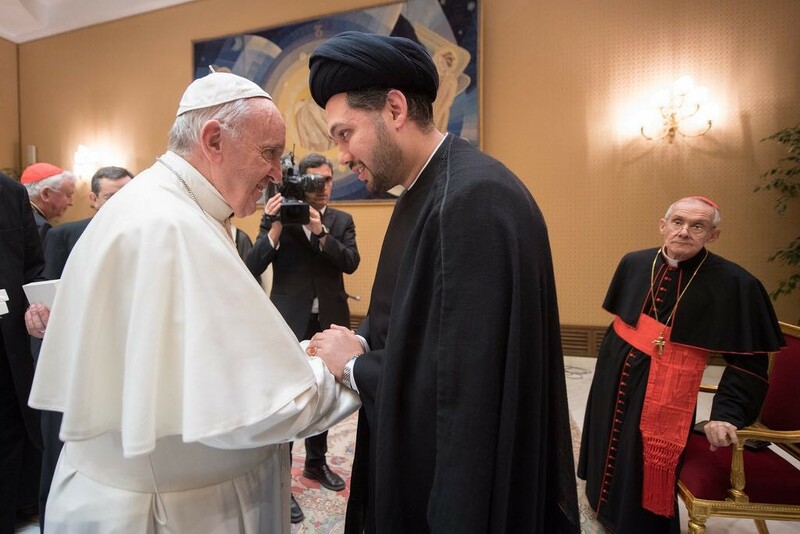 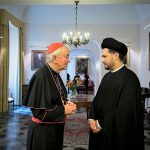 In a historic engagement at the Vatican, Sayed Razawi and three other Muslim leaders were honoured to have had an intimate audience with His Holiness Pope Francis. 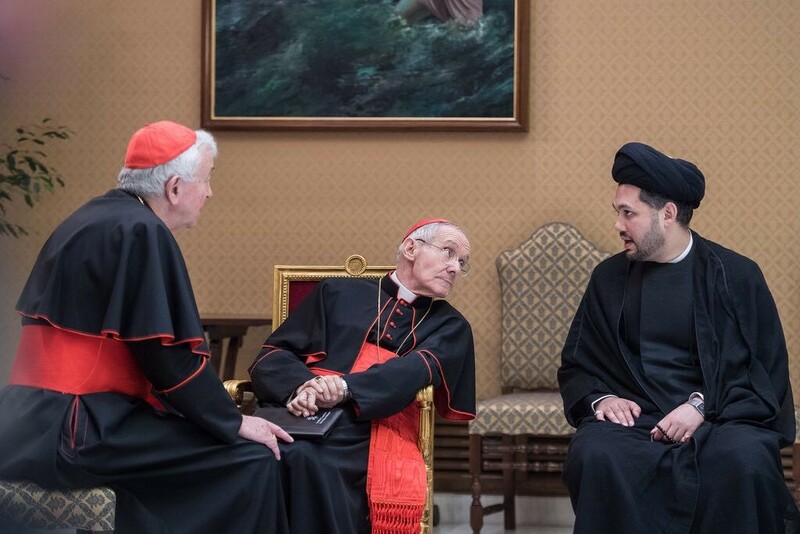 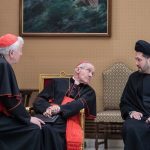 The meeting sought to serve the purpose of promoting profound spiritual dialogue between Islam and Christianity, and the need for collaboration. 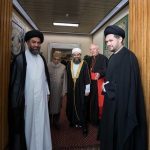 The virtues of listening to one another, of mutual cooperation, and those of silence and soft speech were considered and reaffirmed in view of the path ahead. 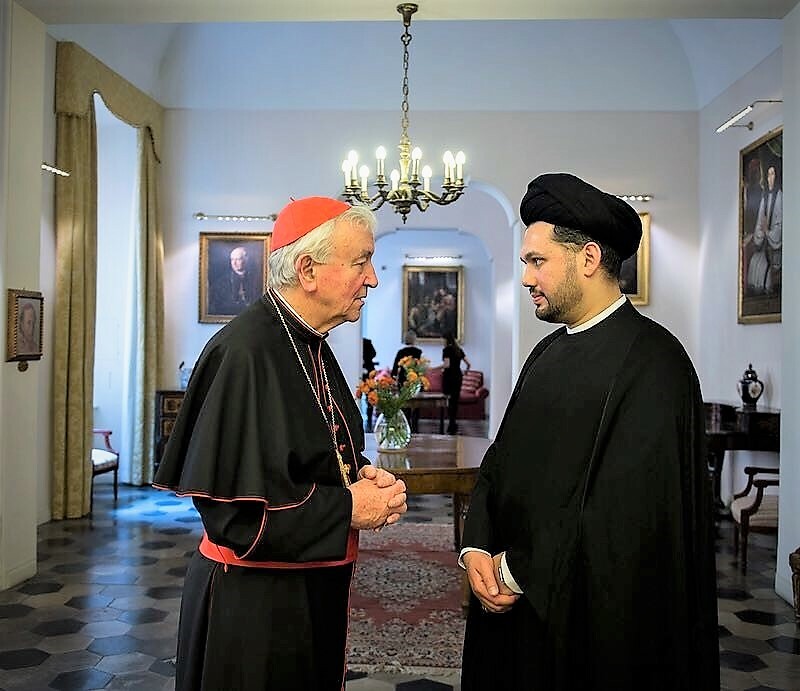 The sincere gratitude of the Director-General extends to Cardinal Vincent Nichols with whom the delegation advanced. 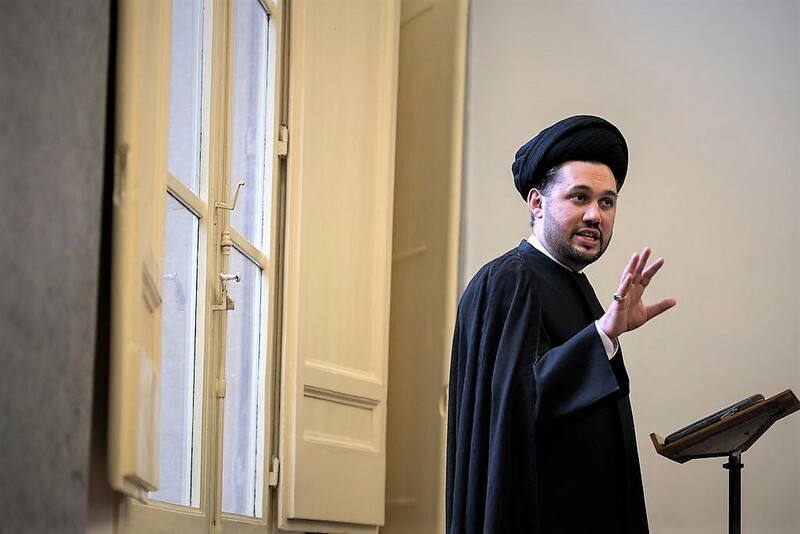 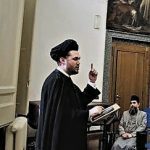 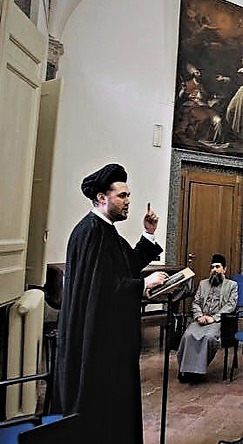 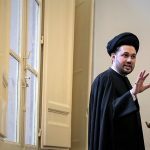 Sayed Razawi also had the honour of giving a lecture at the Venerable English College in Rome the night before the papal audience titled “Ontological Mercy and its Divine Reflections: an Islamic Perspective”. 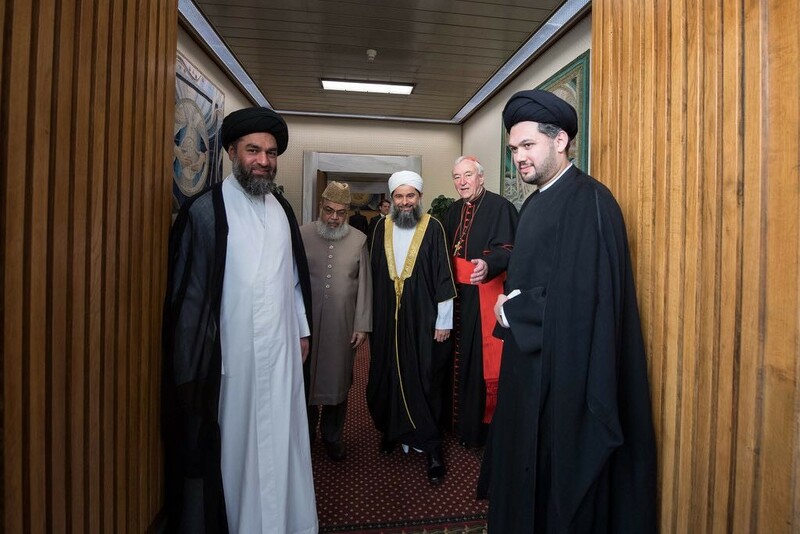 Sayed Razawi said: “This is an important meeting offering hope for everyone, regardless of religion. 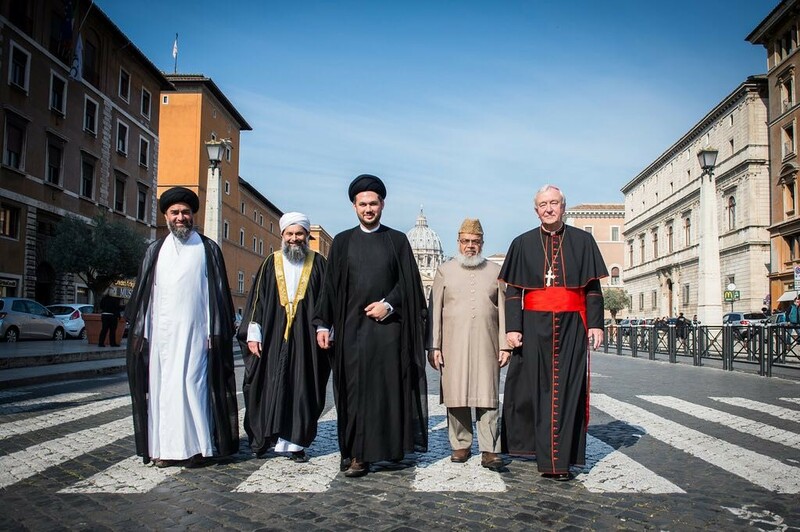 There is a common humanity to all of us. 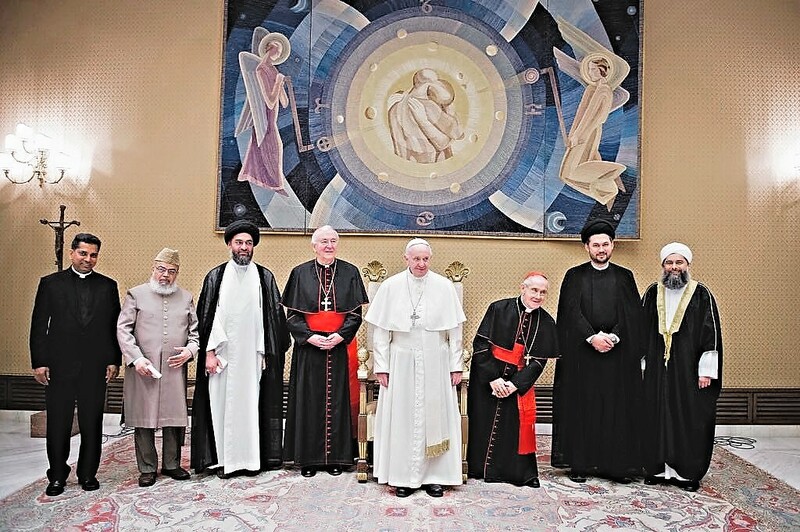 Some seek to divide people, religions, east versus west, but there is no east or west; there is just our common humanity as we seek a peaceful future for all based on justice and compassion”. 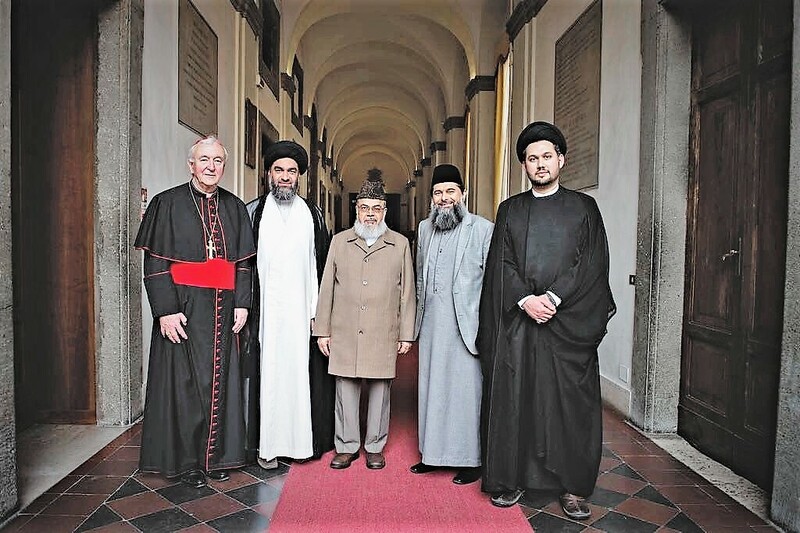 The other esteemed Muslim leaders present were: Moulana Ali Raza Rizvi, President of Majlis e Ulama Europe; Moulana Muhammad Shahid Raza, Chairman of the British Muslim Forum, Great Britain; and Shaykh Ibrahim Mogra, Co-Chair of the Christian-Muslim Forum.